From our iron-cast Chinese oven, served with steamed lotus buns, our Beijing-style duck is hand-selected for plumpness. Barbequed in our traditional Chinese oven until crackling brown with the fat naturally removed from the slow cooking process. Crispy on the outside, tender, lean and juicy on the inside. Deboned and hand carved by our chefs. Traditionally in China, duck soup is enjoyed as a second course. A portion of the meat and bones is stewed with glass noodles, napa cabbage and tofu to complement the whole duck. In most cases, four hours advance notice required. 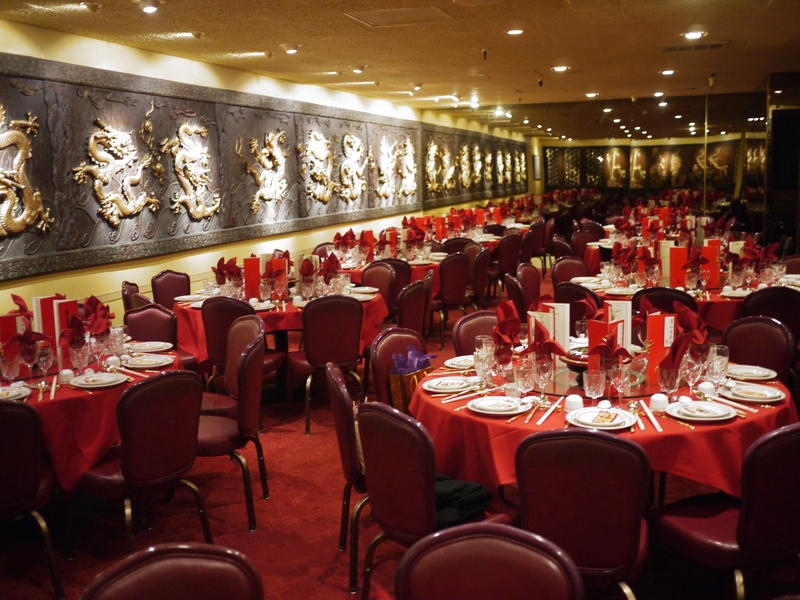 Please call ahead or ask your server about current availability. 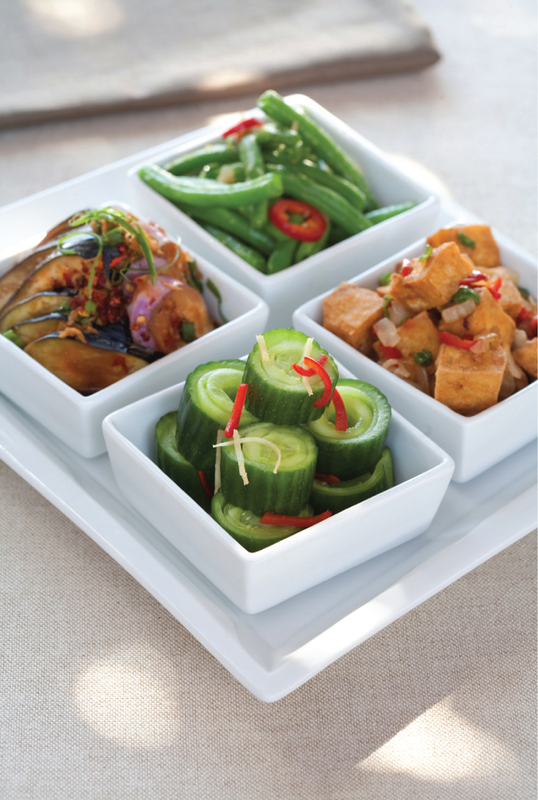 Our four famous chilled appetizers: Pickled cucumber spirals, vegetarian goose, braised bamboo shoots and pickled sugar plum tomatoes. Selection may change seasonally. Minced prawns, water chestnuts and scallions, sautéed in a light sauce. Served in chilled iceberg lettuce cups, topped with crispy chips. Plump, live manila clams, cooked in a clear, rich, ginger broth. 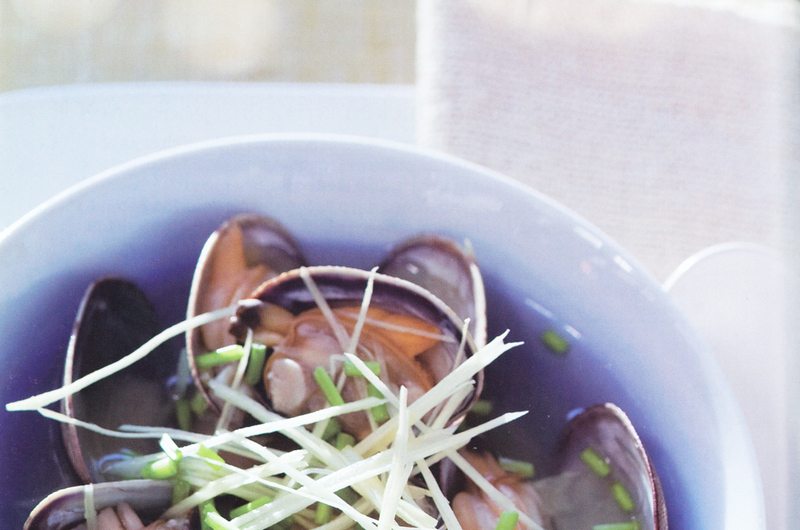 Manila clams, quickly blanched, then flash stir-fried with a black bean sauce, so you can almost taste the sea! Fresh salmon fillets wok-seared, then smothered in black bean sauce with an accent of fresh chili. A perfect combination. Large, succulent, wild-caught sea bass fillet, deboned and steamed. Your choice with ginger and green onions, or with black bean sauce. Succulent sea bass fillet, marinated in our secret miso-honey sauce. Baked to tender perfection. A rack of lamb, pan-seared to your desire. Seasoned in Chinese barbeque sauce, hoisin, rice wine, lemongrass and garlic. A must try! A clay pot filled with wok-seared, marinated boneless chicken wings or beef steak, braised with roasted garlic cloves and jalapeno chiles in a slightly-sweet rice wine, soy sauce reduction. Topped with basil. An adventurer’s dish! 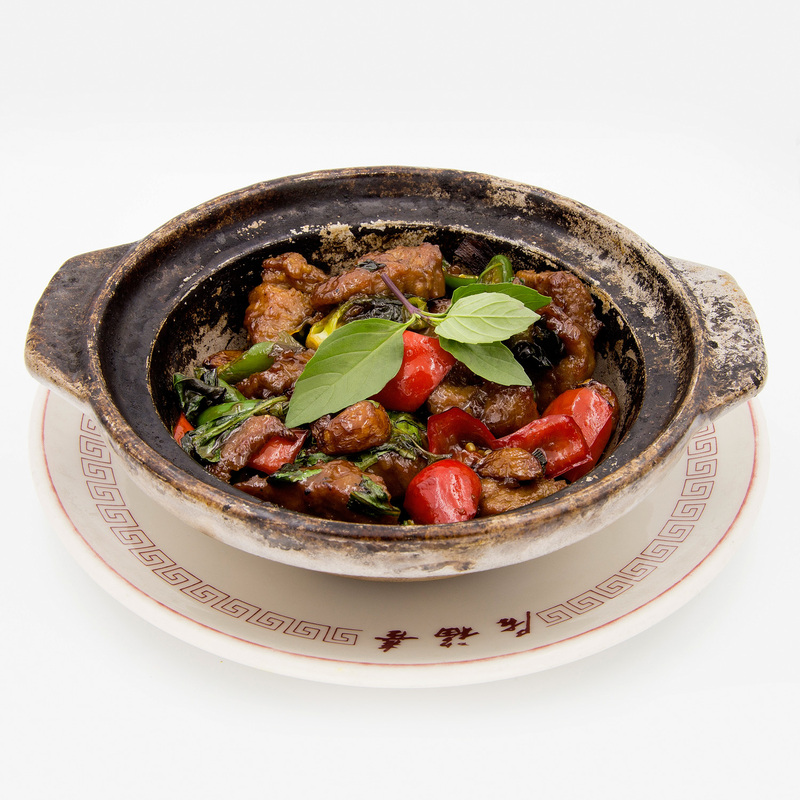 A clay pot filled with your choice of meat, braised with an authentic Sichuan sauce with soft tofu and vegetables. 1- 1/2 lbs. of fresh lobster, tossed with a light, rice wine sauce, ginger and scallions. Optional: Served on a bed of yee mein. 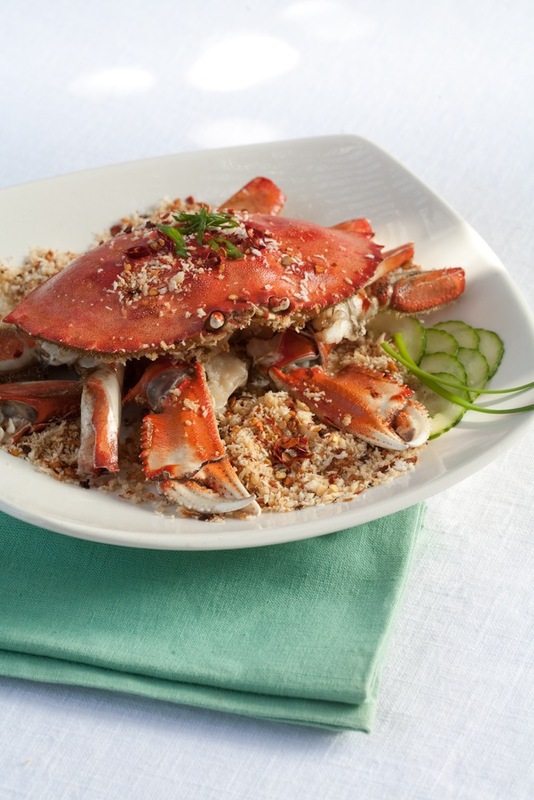 Fresh crab prepared with your choice: Salt and pepper, Golden garlic, Ginger and scallions. Shredded pork, bay shrimp and cabbage, rolled in flour wrappers and deep fried until golden. Shredded cabbage, celery and five-spice pressed tofu, wrapped in paper-thin crepes and deep fried. Real crab meat and cream cheese, stuffed in thin wonton wrappers and deep-fried until crisp. Served with Chef Chu’s table sauce. Minced pork-filled wontons, deep fried to a light crunch. Served with sweet & sour sauce. Plump, fresh prawns, lightly deep-fried until crisp and golden. Served with Chef Chu’s table sauce. Tender beef strips, marinated in a Taiwanese-style “sa cha” BBQ sauce, skewered and grilled. Fresh chicken marinated with star anise, soy sauce, pineapple juice and rice wine, then skewered and grilled. Marinated lean pork, roasted in our Chinese oven until perfection. Sliced and topped with sesame seeds. A selection of appetizers, including crab and cheese puffs, fried jumbo prawns, grilled chicken sticks and vegetarian spring rolls. Boiled wontons mixed with a spicy, Sichuan peanut sauce. Chicken wings marinated and deep-fried, then tossed with a mixture of jalapeño and pepper-salt. 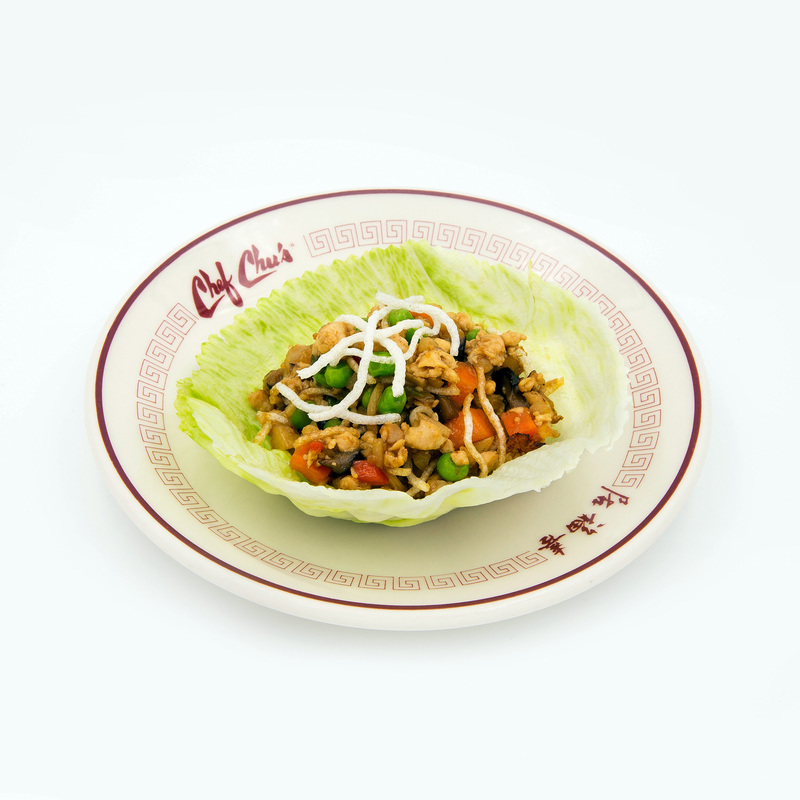 Minced chicken, bamboo shoots, water chestnuts and shiitake mushrooms served in chilled, iceberg lettuce cups. Sprinkled with crushed peanuts. Vegetarian option available. Shredded, skinless fried chicken, lettuce, carrots and cilantro, tossed in a hot mustard and sesame oil dressing. Topped with peanuts and crispy, rice noodles. Marinated cucumbers in a tart-spicy brine. Thin, tofu sheets and shiitake mushrooms, rolled into layers, braised in a soy-anise sauce. Sword-shaped, spring bamboo shoots, braised in a savory sauce. Sugar plum tomatoes in a red wine brine. Choice of wonton soup or hot and sour soup. Minced pork and scallion wontons served in a rich, chicken broth made fresh daily. Snow peas and bamboo shoots, simmered in chicken broth, served with sizzling, rice crisps. Our fresh made chicken broth, simmered with preserved mustard greens, pork and bean thread noodles. A rich chicken broth simmered with Chinese greens, tomato chunks, scallions and delicate egg blossoms. Chicken breast, stir-fried with celery, straw mushrooms and water chestnuts. Topped with toasted almonds or cashews. Chicken strips sautéed with wok-roasted dried chiles, diced zucchini and water chestnuts in our famous, kung pao sauce. Topped with roasted peanuts. Breast of chicken, sliced paper-thin, sautéed with bamboo shoots, water chestnuts, shiitake mushrooms and snow peas. Poured over sizzling rice crisps. Lightly battered chicken pieces, deep-fried until golden and tossed with chunks of pineapple, bell peppers and onions in our sweet and sour sauce. Chicken strips, sautéed with crunchy broccoli stems, fresh chile and garlic in a tart, sweet and savory sauce. Marinated chicken breast dipped in a light batter, deep-fried, then glazed with Chef Chu’s famous, lemon sauce. Diced chicken, sautéed with bell peppers and onions in a savory, black bean sauce. Chef Chu’s interpretation! Chicken strips deep fried until crispy. Smothered in our own unique, spicy, tart, sweet and savory sauce. Chicken strips, stir-fried with roasted tangerine peel, dried chile pods, garlic and ginger in a spicy-orange sauce. Duck marinated with star anise and Sichuan peppercorns, steamed, then deep-fried until crisp outside. Served boneless with steamed buns, duck sauce and slivered scallions. Duck, marinated and steamed, then smoked in tea leaves and camphor wood chips. Deep fried to a crisp and deboned just before serving. Accompanied with steamed buns, duck sauce and slivered scallions. Stir-fried prawns in a traditional “lobster” sauce of black beans, garlic, onions and egg flowers. Sautéed prawns in a light, seasoning sauce, mixed with your choice of vegetables: snow peas, fresh button mushrooms, broccoli, assorted seasonal vegetables. Deep-fried prawns, tossed with bell peppers, pineapple and onions. Smothered in Chef Chu’s special sweet and sour sauce. Deep-fried prawns, glazed in a tart and sweet mayonnaise-mustard blend, paired with our famous candied pecans. Batter-coated prawns, deep-fried then tossed with wok-roasted chili pods. Smothered in kung pao sauce and topped with peanuts. Our signature dish! 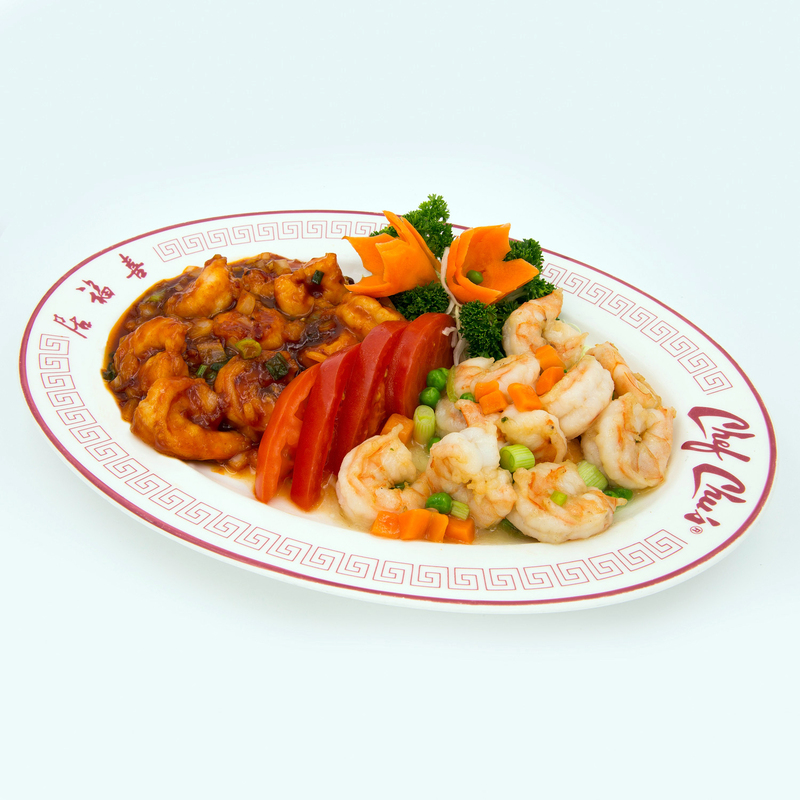 Succulent, jumbo prawns, braised with chili paste, garlic, ginger and a touch of tomato. Served with broccoli. Juicy prawns, stir-fried with bell peppers and onions in a rich, curry sauce. A Chef Chu original! Jumbo shrimp, sautéed two ways: in a light, wine sauce, and in a spicy, chili paste and garlic sauce. Calamari sautéed in a hot kung pao sauce, with bell peppers, onions, water chestnuts and roasted peanuts. Plump, tender sea scallops, seared and braised with eggplant medallions in a spicy, garlic sauce. Boneless white fish fillets, sautéed in a light wine sauce with seasonal vegetables. Tender beef slices, marinated in special seasonings and sautéed. 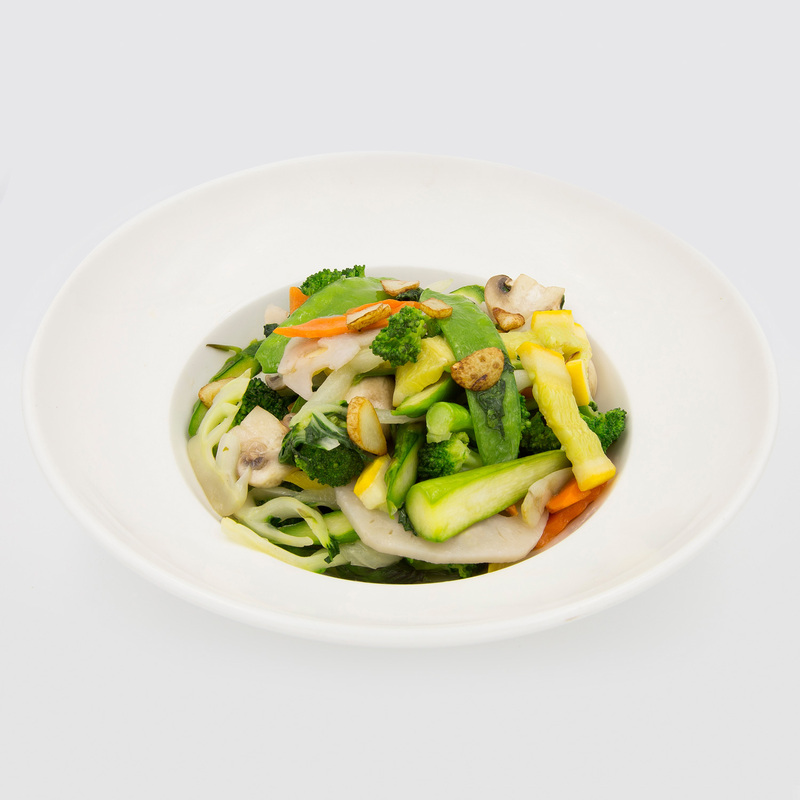 Served with your choice of vegetables: snow peas, fresh button mushrooms, broccoli, or assorted seasonal vegetables. Sliced, tender beef, wok-seared and tossed in a Beijing-style bean sauce. Served over a bed of crisp rice noodles. Beef fillet, deep fried and smothered with a hot garlic sauce. Served over a bed of crisp rice noodles. Sliced, tender beef, stir-fried with roasted tangerine peel, dried chile pods, garlic and ginger in a spicy-orange sauce. Sliced, tender lamb, stir fried with scallions and ginger in a sizzling, hot wok. Lightly battered chunks of pork tenderloin, deep fried and smothered in Chef Chu’s sweet and sour sauce. With bell peppers, onions and pineapples. Lightly battered pork, deep-fried until crisp, smothered in Chef Chu’s famous imperial sauce—sweet and tart in flavor. A popular dish! Thin slices of boiled pork, sautéed with bell peppers, cabbage and pressed tofu in a hot bean sauce. Pork strips sautéed with ginger and garlic, bamboo shoots and mushrooms, in a spicy garlic sauce. A Sichuan classic! House-made smoked, pork belly, sautéed with fresh leeks, red jalapeños and garlic. 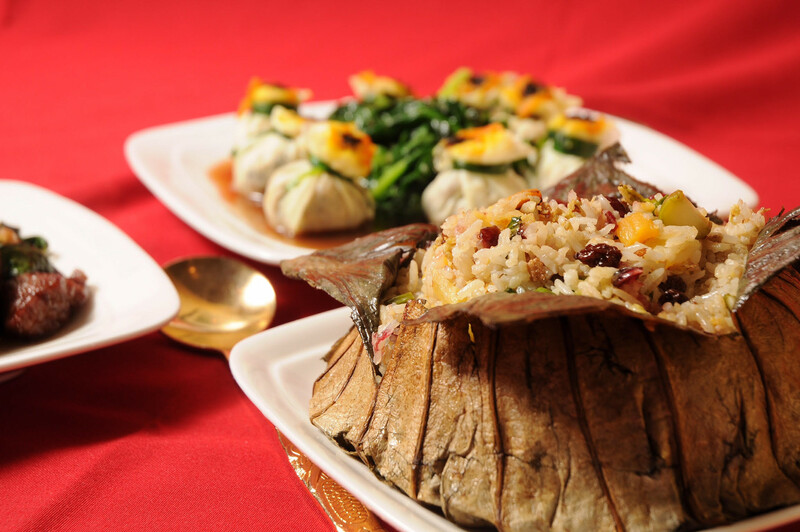 A homestyle Chinese dish. Meaty pork ribs braised until succulent in a sweetened orange, star anise soy sauce. A Shanghai specialty. Chinese tofu, lightly fried until golden, braised with BBQ pork, shiitake mushrooms and snow peas in a savory, seasoning sauce. Vegetarian option available. A Sichuan tofu dish, sautéed with minced pork, braised with chili bean paste and garlic, and topped with a pinch of Sichuan peppercorns. Vegetarian option available. Julienned pork sautéed with bamboo shoots and celery. Fresh, seasonal vegetables. Choice of sauce: light seasoning, black bean, or spicy garlic. Cooked your way: stir fried or steamed. Braised shiitake mushrooms, paired with hearts of tender baby bok choy. String beans, deep fried to a crunch and sautéed with a chili-garlic paste. Sprinkled with minced, preserved mustard greens. Asian eggplant deep-fried, then braised in chili paste and fresh garlic sauce. Fresh broccoli florets, blanched and tossed in a spicy, garlic sauce. Shiitake, fresh button and straw mushrooms, braised in oyster sauce with snow peas. Bright, green Chinese broccoli, blanched and served with a drizzle of oyster sauce. Bright, green spinach, sautéed with fresh garlic until lightly wilted. Crunchy bean sprouts, sautéed with ginger and a touch of vinegar in a sizzling wok. 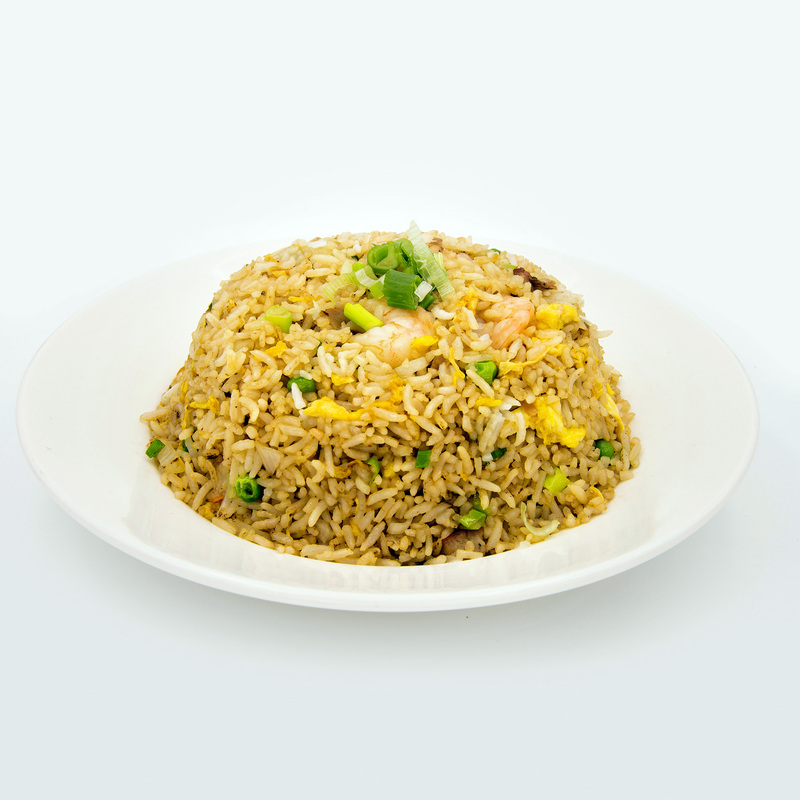 Soft, pan-fried noodles tossed with your choice of meat. Pan-fried noodles, topped with a deluxe combination of chicken, BBQ pork, prawns, scallops and assorted vegetables in a light, savory sauce. Thin, vermicelli rice noodles, tossed with BBQ pork, bay shrimp, onions, carrot and a hint of savory curry sauce. Thin, vermicelli rice noodles lightly pan-fried, then stir-fried with julienned pork, cabbage, mushrooms and carrots. Infused with aroma of shallots. A unique red bean flavored ice cream. A smooth, lightly sweetened ice cream with subtle, delicate green tea essence. Refreshing tropical mangoes, blended into a delicious sherbet. Sweet lychee fruit chunks, blended into an icy, sweet treat. Lightly battered, deep-fried banana, topped with whipped cream and a sprinkle of peanuts. Fresh apple wedges, lightly-battered and deep fried, then dipped in a hot-caramelized syrup. Topped with a hand-pulled candy nest. Please allow 20 minutes to prepare. Smooth, creamy almond-flavored gelatin cubes, served with a fruit medley. Sticky rice cake stuffed wtih red bean paste. Coated with sesame seeds and deep-fried until puffy. 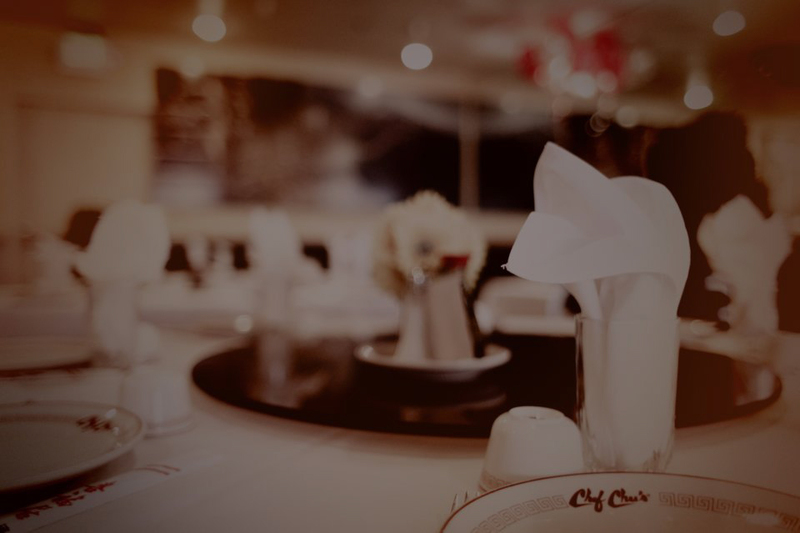 Come join us for fresh, delicious food prepared just for you.